The body of a beautiful blonde is found in the library of Gossington Hall. What the young woman was doing in the quiet village of St. Mary Mead is precisely what Jane Marple means to find out. Amid rumors of scandal, Miss Marple baits a clever trap to catch a ruthless killer. Mystery stories were what started my reading addiction, and although I don't read them that much anymore, it's comforting to return to the genre that made me love reading in the first place. Agatha Christie is an all-time favorite of mine (as can be said for a lot of you, probably! ), and while I've read a lot of Hercule Poirot, I haven't read a lot of Miss Marple, which is a shame. 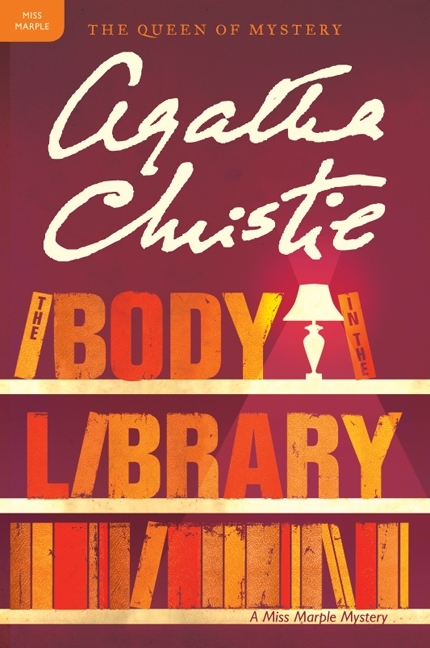 The Body in the Library is the third in the series and it's Christie's successful attempt to take a cliched topic and turn it on its head. I really enjoyed this book. It's perfect summer reading, with its short length and fast-paced plot. As always with Christie's books, the characters are remarkable. There is so much humor and silliness amid all the drama and sleuthing, which makes these books pure entertaining, fun. The ending was clever and I actually didn't see the twist at the end, which was a nice surprise. It was, however, rushed and I wish we could have actually seen the playout of Miss Marple's trap instead of a recap of it, but that's the only flaw I can find in this book. In short, this is one mystery that will keep you in suspense all the while keeping a smile on your face. If you find yourself with a few extra hours this summer, definitely keep The Body in the Library in mind. The ancient order of the Knights Templar possessed untold wealth and absolute power over kings and popes . . . until the Inquisition, when they were wiped from the face of the earth, their hidden riches lost. But now two forces vying for the treasure have learned that it is not at all what they thought it was-and its true nature could change the modern world. Cotton Malone, one-time top operative for the U.S. Justice Department, is enjoying his quiet new life as an antiquarian book dealer in Copenhagen when an unexpected call to action reawakens his hair-trigger instincts-and plunges him back into the cloak-and-dagger world he thought he'd left behind. It begins with a violent robbery attempt on Cotton's former supervisor, Stephanie Nelle, who's far from home on a mission that has nothing to do with national security. Armed with vital clues to a series of centuries-old puzzles scattered across Europe, she means to crack a mystery that has tantalized scholars and fortune-hunters through the ages by finding the legendary cache of wealth and forbidden knowledge thought to have been lost forever when the order of the Knights Templar was exterminated in the fourteenth century. But she's not alone. Competing for the historic prize-and desperate for the crucial information Stephanie possesses-is Raymond de Roquefort, a shadowy zealot with an army of assassins at his command. Welcome or not, Cotton seeks to even the odds in the perilous race. But the more he learns about the ancient conspiracy surrounding the Knights Templar, the more he realizes that even more than lives are at stake. At the end of a lethal game of conquest, rife with intrigue, treachery, and craven lust for power, lies a shattering discovery that could rock the civilized world-and, in the wrong hands, bring it to its knees. 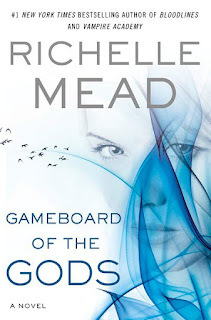 I wanted to give this religious/mystery/thriller genre another try, because it's so popular! When I dislike a popular book or genre, I feel like I'm not giving it a fair chance. 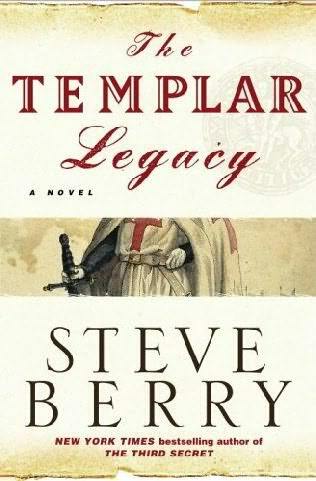 So, even though I did not at all like The Da Vinci Code, I ended up reading The Templar Legacy. I've heard some people call this the "poor man's" Da Vinci Code, but I don't agree with that. It's pretty much the same premise and kind of has the same characters, but the writing is better (and less offensive) than The Da Vinci Code. That still doesn't make this book good, though. Alyssa told Georgina, "Well, I'm not so sure about that." So, that got annoying fairly quickly. Along with that, there was just too much explanation and information dumps, making it a slow, tedious read. If a quarter to a third of this novel were cut out, I think it'd be a better story. Despite my dislike of the story, I thought that the narration was good. Not anything extraordinary, but enjoyable -- Paul Michael did a good job with what he had. It just didn't hold much interest for me. Louisa Gardener is the fourteen-year-old nursemaid to the young daughters of a wealthy, titled family living in London, England, in 1912. Despite the bullying Nanny Mackintosh, for whom she is an extra pair of hands, she loves her work and her young charges. Then everything changes. The family decides to sail to New York aboard the Titanic. An accident to the children's nanny, only days prior to the sailing, means that Louisa must go in her stead. She cannot refuse, although she dreads even the mention of the ocean. Memories she has suppressed, except in nightmares, come crowding back. When Louisa was five and her sister seven years old, their two-year-old brother died on an outing to the seaside. Since that time, Louisa has had a fear of the ocean. She blames herself for the accident, though she has been told it wasn't her fault. If Louisa refuses to go on the voyage, she will be dismissed, and she will never get beyond the working-class life she has escaped from. No Moon is a story about Louisa, a nursemaid who finds herself in charge of two young children while their family sails on the Titanic. Threading factual information about the early twentieth century within a personal narrative format, Watts gives a general overview of what life was like in the early twentieth century within a story that tells of the tragedy of the Titanic. In some ways, I was disappointed by this book, but I can see how that might be useful for introducing children to the subject of the Titanic and the early 1900s. This is a great book for children who are reluctant or beginning readers. The story is simple, easy to follow, short, and moves along quickly. It provides a nice contrast between the people of the working-class and upper-class in England during the early twentieth century, and even hints at the burgeoning of the women's rights movement. I could see elementary school teachers reading this aloud in their class to complement a history unit for this time period. It brings up a lot of things to reflect and learn about, such as women's rights, marriage practices, work practices, family dynamics, etc., which makes it a great starter for a unit. As an adult reader, I was a little disappointed in story's lack of complexity. I think that the emotional response of the Titanic's sinking could have been explored further. Instead, the characters said something along the lines of, "Oh, this is so terrible!" And then the story moved on. On a related note, the characters also seemed over-simplified, and I would have liked to see more growth or change within the side characters. Overall, I think this is a great introduction to the story of the Titanic and it introduces topics that children could research and explore on their own. It'd be a good pleasure read for kids interested in the subject, but I could definitely see elementary school teachers using this in their classroom as an introduction to early twentieth century England and the Titanic.